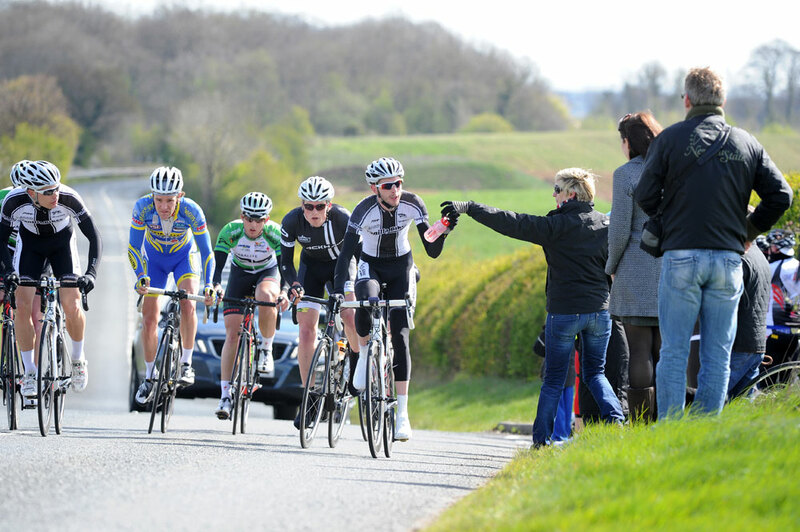 Jamie Shirlaw (Herbalife Leisure Lakes Bikes.com) won the Sheffrec CC Spring road race in South Yorkshire on Sunday. 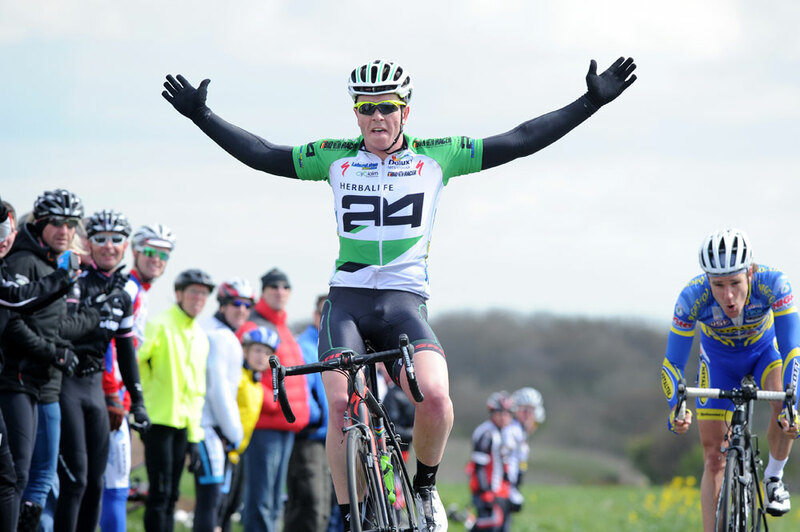 The start list had included newly-crowned Scratch World Champion Ben Swift but due to a UCI ruling, the local hero was unable to take to the 66-man field that headed out from the Ruddle Centre HQ. 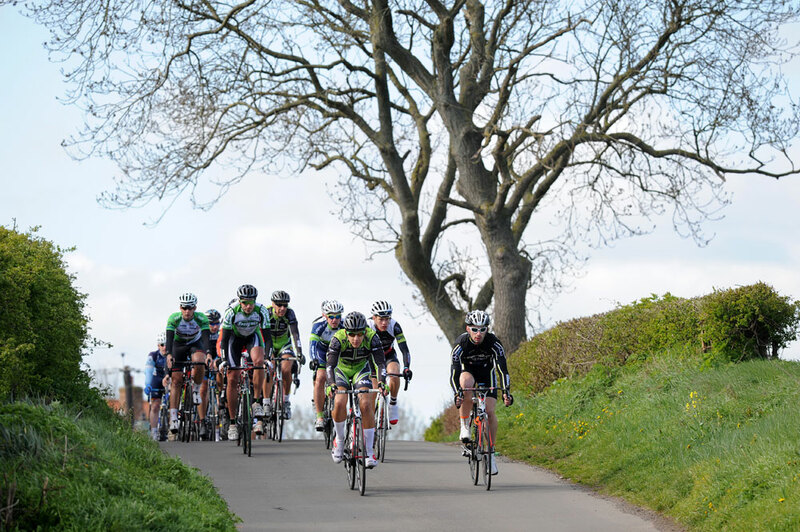 The sun shone for the duration of the 62.5 mile race which consisted of 18 x 3.47mile laps of the Stainton circuit around the exposed arable fields of the area. 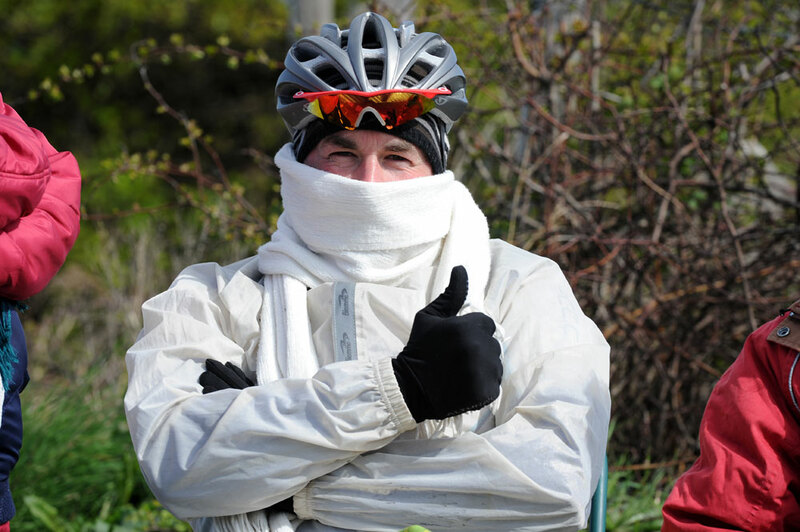 Riders battled against a stiff northerly wind on the top side of the circuit which took the edge off the temperature – a shock to the system not only for riders and spectators but also to the newly arrived swallows that were spotted flying across the fields. 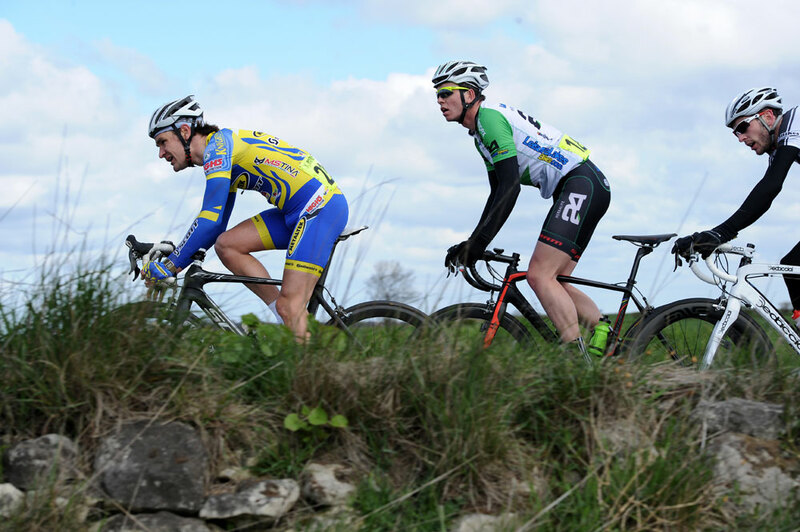 However, the action started to hot up around lap three of the race as a breakaway group of seven riders distanced themselves from the field. 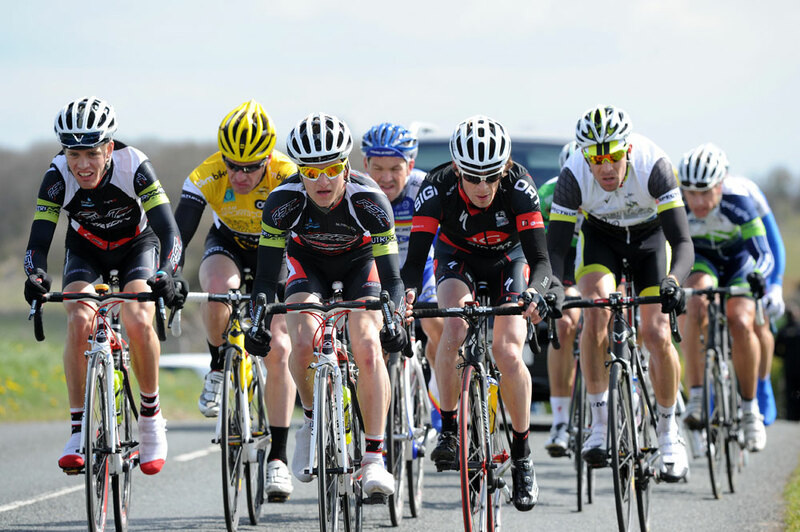 The seven-man breakaway included defending champion Jamie Shirlaw (Herbalife Leisure Lakes Bikes.com) with team mate Tom Bustard, Tom Barras (Metaltek-Scott), Dillon Byrne and Alistair Rutherford (Vanillabikes.com), Colin Humphrey (Sportscover Altura RT) and William Haynes (Blackhawk Bikes). There advantage went out to around a minute before a consolidated chase got together to start reeling them back in which saw ten riders pull away from the main field. This 10 man chase group consisted of local man Graham Briggs (Raleigh GAC), Tom Murray (IG Sigma Sport), Matt Sumpton & Gunnar Gronlund (RST Trigon RT), John Tanner & Rob Sharman (Sportscover Altura RT), Chris Daddy (Squadra RT), Richard Hepworth (CyclePremier), Jack Cusforth (Herblife Leisure Lakes Bikes.com) and Jaime Burgan (Langsett Cycles RT). As the race came in to the closing five laps it looked as though the 10 chasers would bridge the gap as the time gap was down to 30 seconds. The gap closed to 22 seconds with three to go but then the impetuous was lost as some indecision went on within the group. It meant that the race long break were left to sprint it out up the long drag to the finish line where a large crowd had gathered to watch the closing stages. Dillon Bryne who had been aggressive through out the race, attempting several digs up the home drag in previous laps, initially headed the sprint with Barras and Shirlaw in close contention. However, it was Shirlaw that came clear to take the win from Bryne and Barras. The chase group was headed in by Sumpton (RST) some 44 seconds behind with the main field finishing nearly five minutes behind the chase riders. 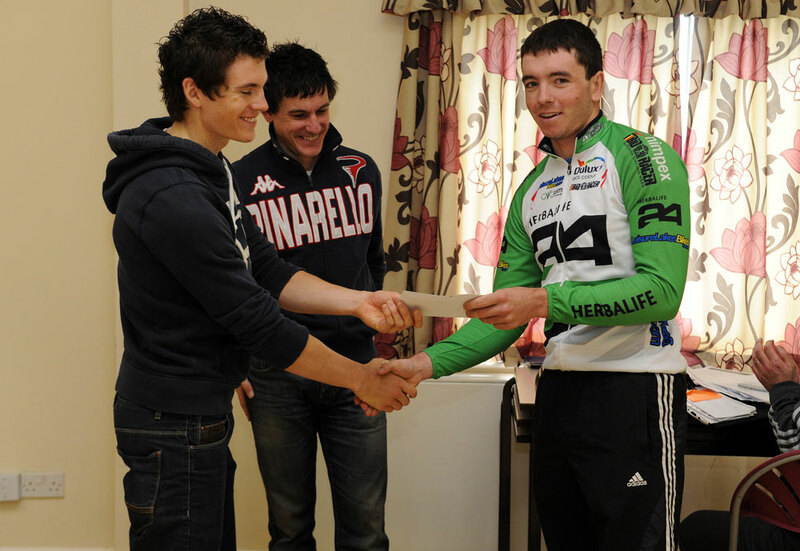 Back at race HQ, Ben Swift (Team Sky) was on hand to support the local event and present the prizes to the placed riders.